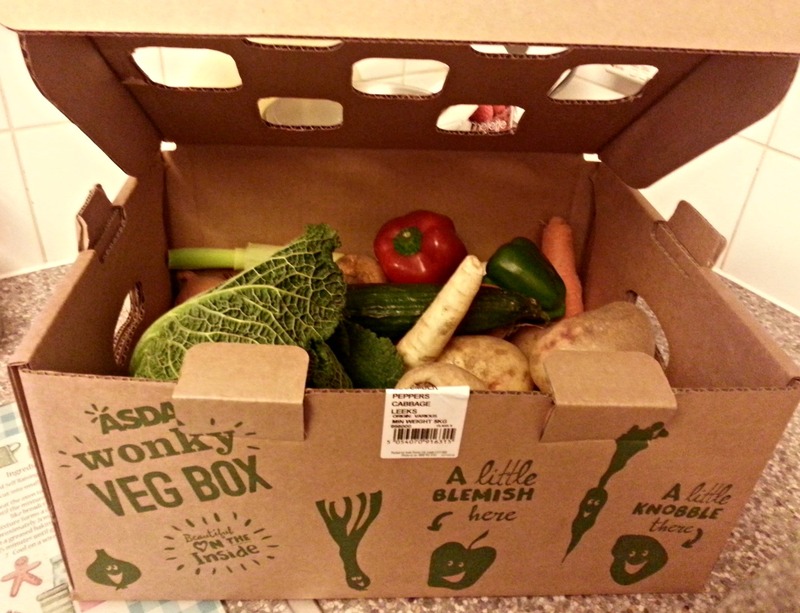 I think I might have struck lucky this week, as I happened to spot Asda's new Wonky Veg boxes when I was shopping on Friday. Apparently, I've since found out, the boxes are only available in certain stores in limited quantity at the moment to gauge interest, so I was quite pleased to get one. They only cost £3.50 for 5kg of mixed veg, so I bought one, mainly out of curiosity. 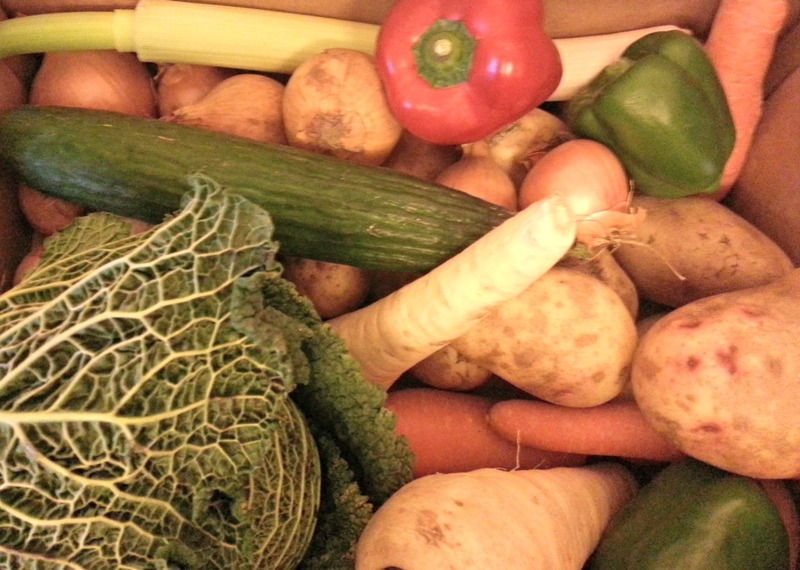 However, when I got it home, I was quite surprised by how much veg it actually contained. Obviously, the weight was exactly as it said on the box, but the veg contained within was a lovely variety, in mostly useful quantities, and there was absolutely nothing wrong with it. It was perfectly fresh, the only difference was that the sizes were odd and there were one or two marks on the peppers. So, what was in there? A cucumber, a cabbage, two parsnips, three peppers, a leek, half a dozen carrots, a dozen potatoes, and ten onions. The idea behind the scheme is to reduce the amount of food waste that is currently produced and help farmers to get increased revenue from the food that they grow. It is a great opportunity to be able to support British producers, who have had a hard time for a number of years, due to a number of factors, including unfair buying practices from some supermarkets. It's good to hear that they will be benefitting from this scheme and it will go some way towards supporting the environment too. According to The Metro, the box of assorted, misshapen vegetables should last a family for a week, but the size of the family is not specified. Assuming it's an average Mum, Dad and two kids, that's a lot of meals. My challenge for this week is to see how long this veg actually will last and what I can make with it. The good news is, it's all fairly standard, every day stuff, there's nothing that you couldn't add to a few different recipes, so it will be fun to see what I can come up with. 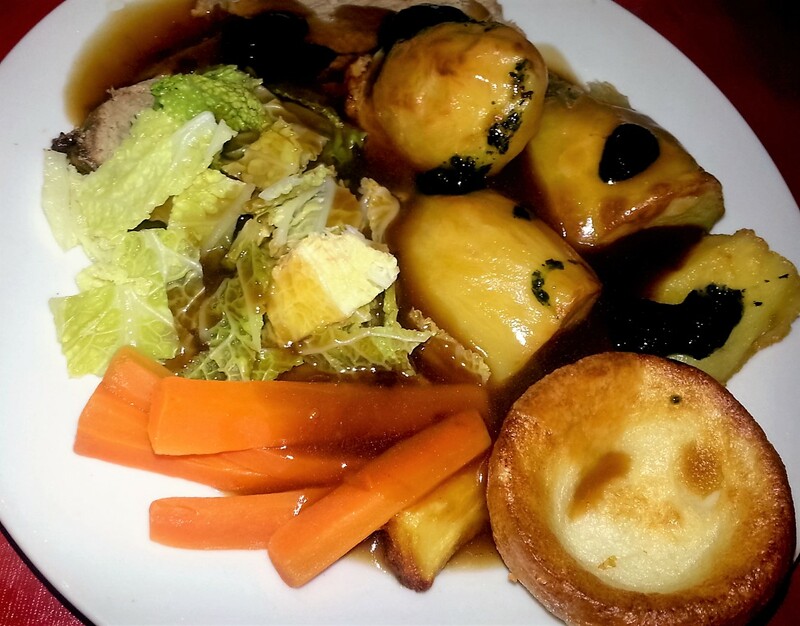 As today is Sunday, we used half the cabbage and some of the carrots, potatoes and parsnips in a traditional roast and it cooked beautiful. Come back tomorrow to see what else I can create from from the box and whether a fight breaks out over that one lonely leek! What a great idea...I will have to look out for these. I saw these on Jimmy and Jamies Friday Night Feast and thought they were a great idea. I cant believe how much wastage there is! I will definitely be buying! I'm off to buy one today!